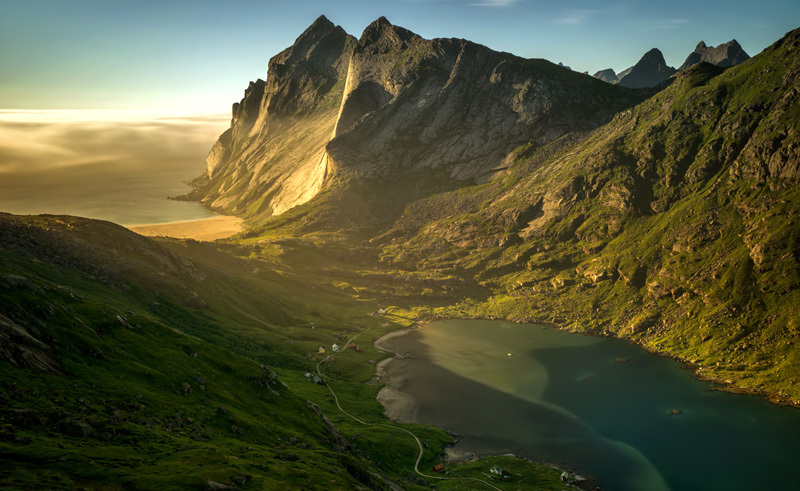 One of the most scenic areas in the whole of Norway, Lofoten is blessed with stunning beauty; jagged mountains; sandy beaches; mesmerising fjords and endless islands. Our week long escorted tour includes all of these and more. Visit hidden gems away from the tourist trails, hike on some incredible paths and relax on its beautiful untouched beaches - explore this magical place in a small group for a truly unforgettable adventure. Working in conjunction with an experienced tour company we are delighted to introduce this all-inclusive escorted tour. New for 2019, the group is restricted to a maximum of just eight participants on each departure, and we are sure it will prove a very popular hit with our guests! In northern Norway the summer days are long under the midnight sun, and where better to spend the time than outdoors in the fresh air, among the beautiful nature and exploring new places with breath taking views at every turn. 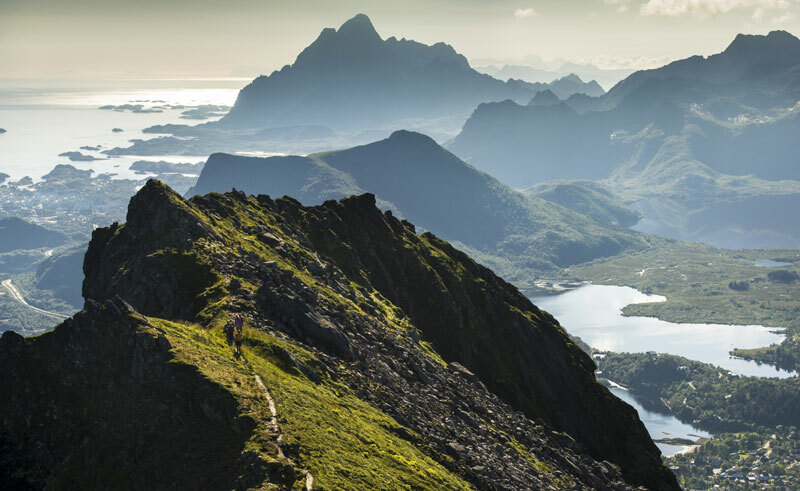 The stunning archipelago of Lofoten islands is recognised by an extraordinary dramatic landscape with small, authentic fishing villages situated just below the jagged peaks. The focus of this trip is spending time outdoors and enjoying the scenery while exploring in a hikers paradise, taking you to places especially suited to those seeking more remote and intimate experiences with nature. On most days there are hikes ranging from 2 to 5 hours, so guests should be used to active pursuits, although the hikes aren’t over strenuous. This trip gives you the opportunity to explore secluded beaches, mountains and villages – and if the weather permits, to experience the midnight sun from spectacular viewpoints. It also includes a visit to the remote island Værøy, a truly special place so dramatic and isolated, with a bird’s eye view of the areas already explored on foot and by boat. Accommodation on the tour is varied, ranging from glamping on the beach to cosy fisherman’s cabins and guesthouses, with some facilities using shared bathrooms. 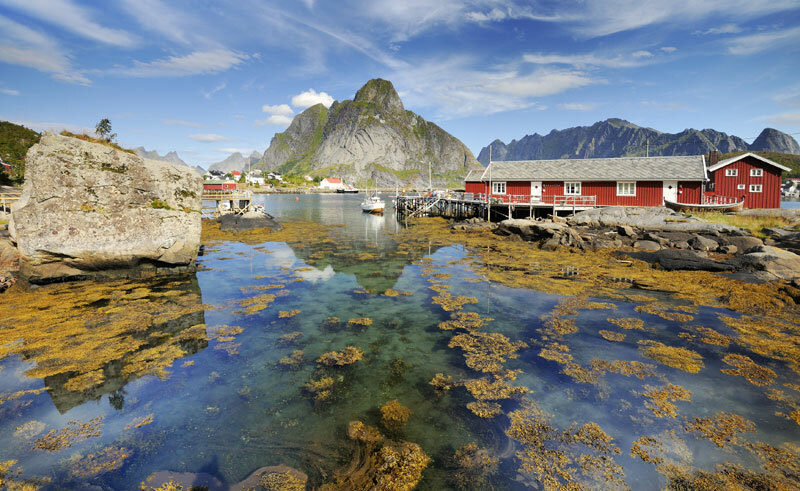 During high season Lofoten is a much sought after destination to visit, but unfortunately its popularity also leads to issues with availability in the hotels. By travelling on our tour, we have guaranteed accommodation to ensure your peace of mind when booking. Please note, prices are based on certain flight booking classes and subject to availability. Fly from London Heathrow to Oslo. Due to flight connections it is necessary to overnight at Oslo, staying at the Clarion Oslo Airport Hotel on breakfast basis. Fly from Oslo to Bodø. On arrival make your way to the city ferry quay, a 10 minute taxi journey away. There will be a little time to wait before meeting the guide and fellow travellers at 17.00 hours. 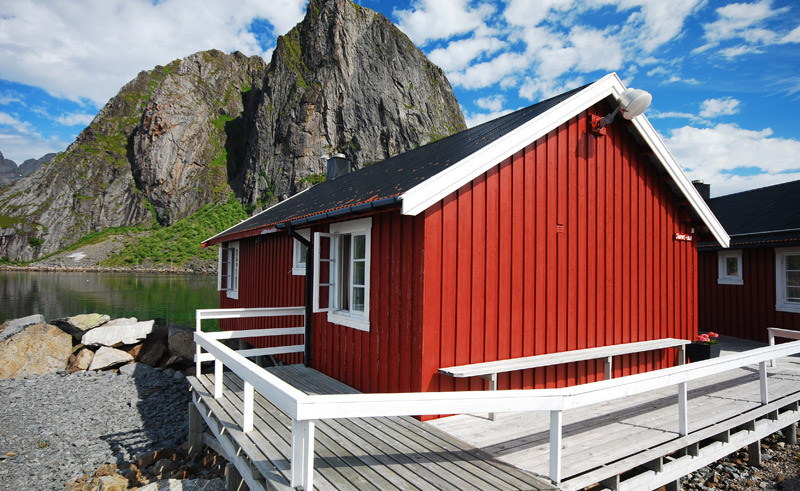 Take the express boat departing at 18.00 to Skrova, one of the smallest and calmest islands in Lofoten. The journey takes you through magical scenery along the rugged Stigen coastline and across Vestfjorden to Skrova. You have a light meal at a local restaurant before heading to Skrova glamping accommodation. The large tents are equipped with real beds and carpets, each booking receiving their own lavvu tent. There are separate wash and toilet facilities to be shared. After breakfast, get ready for a kayaking trip (all equipment provided). You receive safety instructions before heading out into the beautiful calm seas and paddling among the smaller islands dotting the seascape. 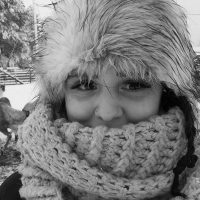 It’s a wonderful way to see the nature up close, getting a different perspective of the area. A stop is made to have lunch on one of the islands. The trip will last approximately 3 hours. In the afternoon head out on a 3 hour fishing trip to try and ‘fish our dish’ – taking the catch back to the chef who will prepare a dinner in the evening using the fresh ingredients, either at the beach or nearby restaurant depending on the weather! End this awe-inspiring day with an evening soak in the hot-tub on the beach – hopefully under clear skies and a midnight sun. Spend another night in the comfortable lavvu tents. Today it’s time for a hike! From the beach camp the aim is to hike up Høgskrova (258m). The hike isn’t too far or too steep, yet it gives an impressive view of the surrounding landscape and well worth the effort. From here, you have the option to descend to a quiet beach for a refreshing dip in the sea or some moments of relaxation by the water. Lunch will be at Skrova before heading out by RIB boat in to Trollfjorden for a 3 hour trip along the dramatic fjord and one of the narrowest and steepest in Norway. 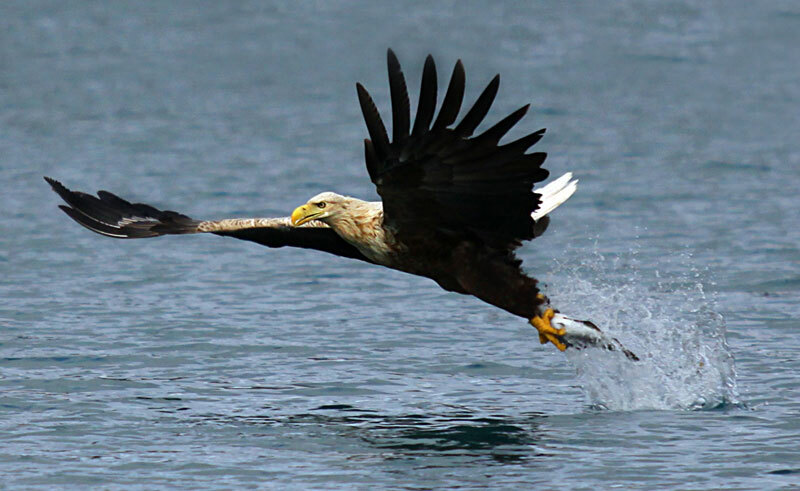 If you’re lucky you may get a glimpse of the sea eagle, the largest of the species in Europe – afterwards head to Svolvaer, Lofoten’s capital and on to Lofoten Links lodge in Gimsoy, your base for the next two nights. The lodge accommodation has private bathrooms. Today’s hiking will last approximately 3-4 hours. 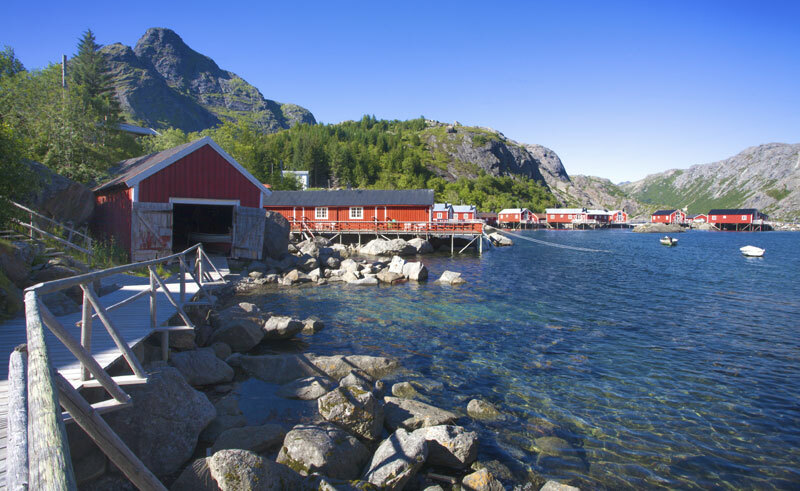 After breakfast you head to Henningsvaer, one of the most authentic villages in Lofoten. 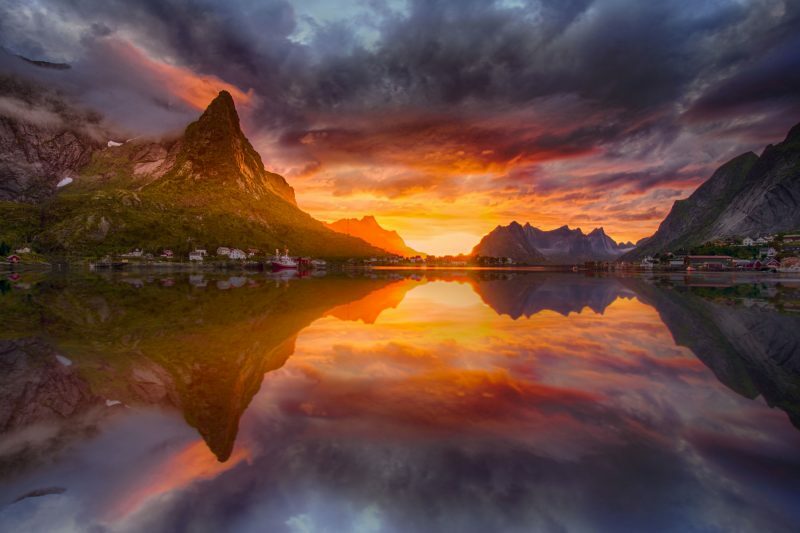 The small town consists of a group of islands situated between the impressive Mount Vagakallen and the “Lofoten Wall” and is otherwise surrounded by the sea. The combination of an active, vibrant environment and well-preserved architecture makes Henningsvaer quite unique. You have time to explore the village before lunch, then the afternoon is spent hiking. Depending on the weather, there is the option to hike up to a local viewpoint or drive to a small mountain called Hoven, a rare mountain as it stands alone on the horizon. After the hike, drive back to the accommodation for dinner and overnight. Today’s hiking will last approximately 2-3 hours. As you drive further south, the coastline becomes more rugged and wild. There will be opportunities to stop at viewpoints along the way. In good weather, Unstad beach is a lovely place to visit, with surfers from all over the world drawn to its arctic waves. Enjoy a hot drink to warm up before continuing to Reine, an iconic and photogenic town. From here, take the local ferry up Kjerkfjord and walk across to Bunesstranda, a secluded beach. The beach and fjord are spectacular! The hike takes approximately 3 hours along the fjord, framed by high, jagged mountains. You return to Reine by boat, and on to the authentic accommodation at Eliassen Rorbuer in Hamnoy where dinner will be served. The traditional cabins share a bathroom between two cabins. Today you head to the beautiful island of Værøy, far away and isolated - the only way to get there is by a 90 minute ferry ride. The island is a hiker’s paradise: from white sandy beaches to impressive mountains with spectacular views. In the middle of the island is Håen, a mountain standing 438 meters tall, but worth the effort for the stunning panoramic views. After the hike, you continue to Nordland, a small village with 150 habitants and where fishing is by far the most important source of income on Værøy. The island offers simplicity and a sense of peace away from the tourist path – a real gem to behold! The next two nights you will stay in the old and cosy Prestegården (The Priest House) in Nordland, a well maintained guesthouse with friendly atmosphere and homely meals. Accommodation here is in rooms with shared bathroom. Today’s hiking will last approximately 3-4 hours. Another day to explore this hiking paradise and the weather will decide on today’s adventure. One option is Nordlandsnupen, the highest mountain on the island. From the summit, if weather permits, you will be able to see the entire Lofoten Wall stretching out with mountains as far as you can see. The other option is Måhornet, a hike that goes along the coast, through beautiful flowered meadows and an ancient abandoned village. Today’s hiking can vary depending on the route taken, approximately 2-5 hours. A fitting end to an amazing adventure – Værøy doesn’t have an airport but a heliport, the journey by helicopter takes you across Vestfjorden from Værøy to Bodø taking about 25 minutes, and gives you the chance to see the fjord and the islands from a birds eye-view before you say goodbye to the scenic paradise. You will arrive at Bodø airport just after 10am.